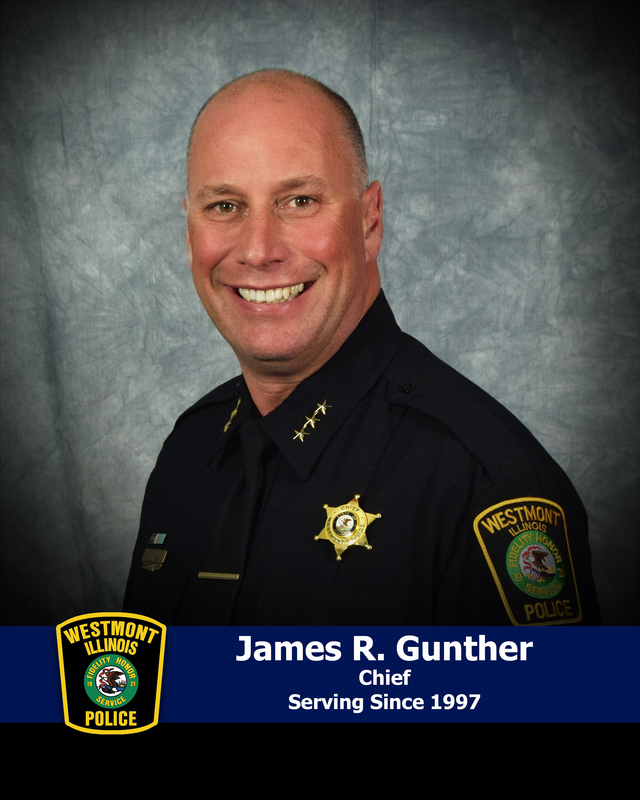 Chief Jim Gunther began his law enforcement career as a patrolman with the Westmont Police Department in 1997. In 2000, he was assigned to the investigations division as a detective and additionally assigned to the Felony Investigative Assistance Team (FIAT) Major Crimes Unit, a multi-jurisdictional task force in DuPage County. He was promoted to the rank of sergeant in October 2006, and spent the next year as a patrol shift supervisor. In December 2007, he was assigned as the Investigations Division Supervisor. He was appointed as deputy chief of police by Chief Thomas R. Mulhearn in March 2010. As deputy chief, he oversaw the department’s operations functions including the patrol and investigations divisions. He was promoted to the rank of Chief of Police in September 2016. Chief Gunther holds certifications as a juvenile officer, firearms instructor, Taser instructor, judgemental use of force instructor, recruitment team member, lead homicide investigator and member of the police department’s honor guard. Since 1999, Chief Gunther has presented instruction to the Westmont Police Department Citizens’ Police Academy classes on topics including identity theft, traffic stops, homicide investigation, and statement analysis. Chief Gunther is a graduate of Harper Community College A.A. 1992, Western Illinois University B.A. 1994 and Lewis University M.S. 2003. In 2011, Chief Gunther graduated from the 244th session of the Federal Bureau of Investigation National Academy in Quantico, Virginia, and the Senior Institute Management for Police (SMIP) Session #71, a program of the Police Executive Research Forum (PERF) that provides senior police executives with intensive training in the latest management concepts and practices used in business and government. Chief Gunther serves on the Executive Board of the DuPage County Chiefs of Police Association, Vice-Chairman of the FIAT multi-jurisdictional task force and Executive Board member of the Joint Terrorism Task Force. 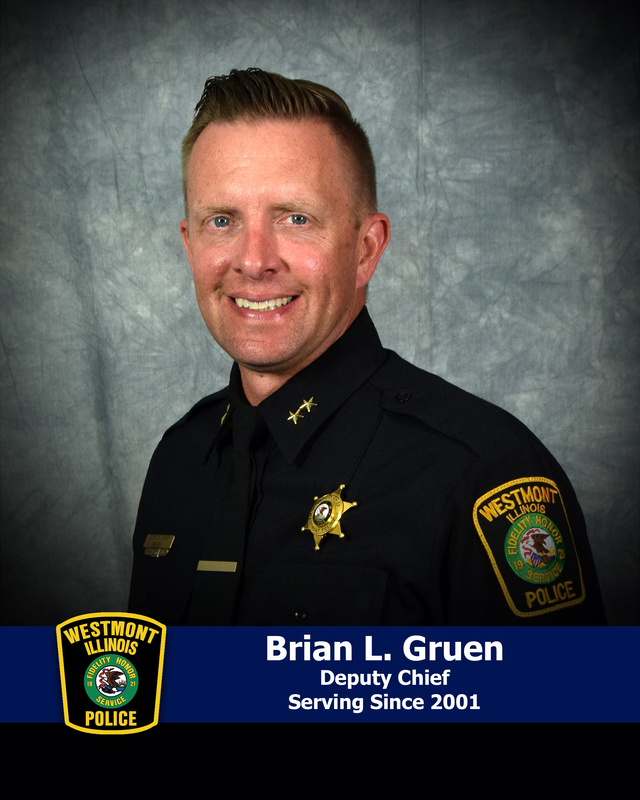 Deputy Chief Gruen has served with the Westmont Police Department since 2001. He was promoted to the rank of Sergeant in 2010. Prior to being appointed as a Deputy Chief in October 2016, he served as a Patrol Sergeant and Administrative Sergeant from 2010 to 2016. Deputy Chief Gruen’s main responsibilities include supervision of the Operations Sergeant, Patrol Sergeants, and patrol division as well as overseeing all operations programs. He is the Commander of the ILEAS Region 4 North Mobile Field Force and a member of the DuPage County Incident Management Assistance Team (IMAT). Deputy Chief Gruen has completed the School of Police Staff and Command through the Northwestern University Center for Public Safety. 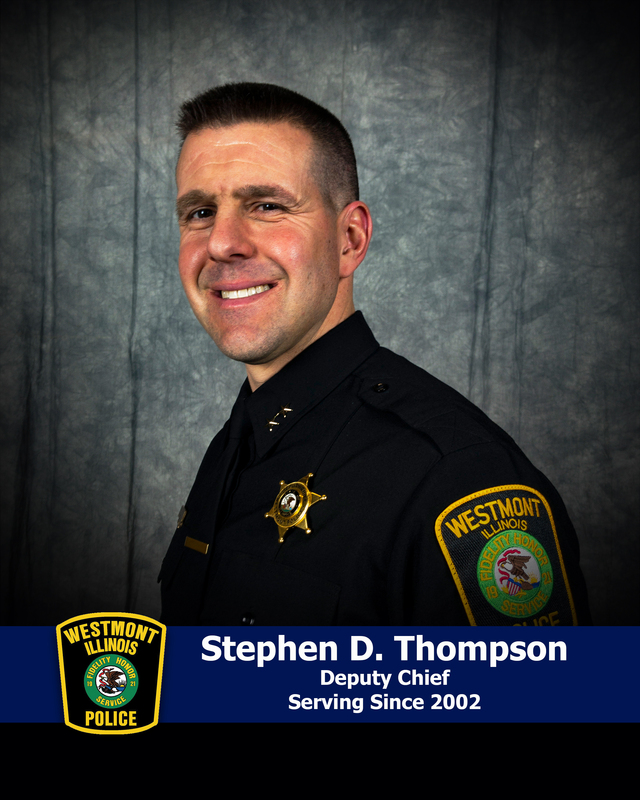 Deputy Chief Thompson has served with the Westmont Police Department since 2002. He was promoted to the rank of sergeant in 2008. Prior to being appointed as a deputy chief in October 2017, he served as a patrol sergeant from 2008 to 2011 and as detective sergeant from 2012-2017. He also served as a team leader for the Felony Investigative Assistance Team (FIAT) Major Case Unit. Deputy Chief Thompson’s main responsibilities include supervision of the administrative sergeant, records, training, and detective divisions as well as preparation and monitoring of the police department budget. He is a member of the DuPage County Incident Management Assistance Team (IMAT). 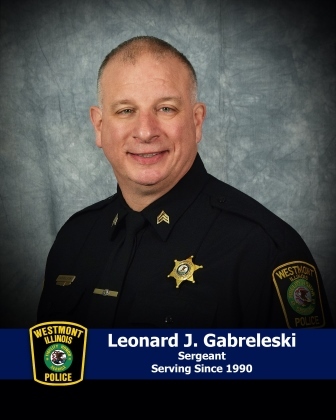 Sergeant Leonard Gabreleski has served with the Westmont Police Department since 1990. During his tenure, he has served as a SWAT team member, a field training officer, and a detective. As a detective, his main duty was dealing with community quality of life issues. He was promoted to the rank of sergeant in 2008 and served as patrol sergeant shift until 2016, when he was assigned to his current position as the Operations Sergeant. Sergeant Gabreleski’s main responsibilities include managing the department’s vehicle fleet, ordering equipment and supplies for the department, coordination of all special events, and chairman of the awards and safety committees. 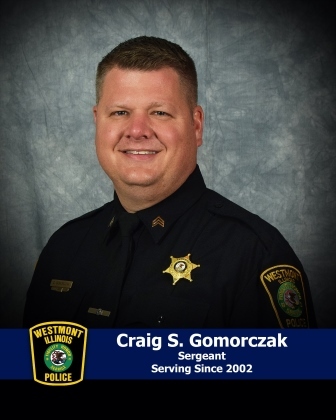 Sergeant Craig Gomorczak has served with the Westmont Police Department since 2002. He was selected in 2006 as a detective and held role of school resource officer until 2011. This same year he was awarded Public Safety Officer of the Year. He was promoted to the rank of sergeant in 2013 and served as a patrol sergeant in 2017, when he was assigned to his current position as the Administrative Sergeant. Sergeant Gomorczak’s main responsibilities include supervision of records and field training officers. He also coordinates and ensures compliance for department training, scheduling, policies and procedures. 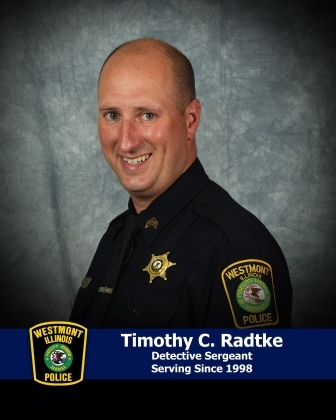 Sergeant Timothy Radtke has served with the Westmont Police Department since 1998. From 2006 to 2013, he was assigned to investigations as a detective. In addition he was assigned to DuPage Felony Investigative Assistance Team (FIAT) Major Crimes Unit. He was promoted to the rank of sergeant in 2016 and served as a patrol sergeant from July 2016 to October 2017. In October 2017, he returned to investigations as detective sergeant. Detective Sergeant Radtke’s main responsibilities include supervision of investigations division, evidence room, and crime scene technicians. He is assigned to DuPage Felony Investigative Assistance Team (FIAT) Major Crimes Unit. 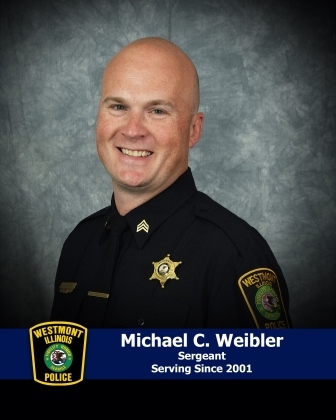 Sergeant Michael Weibler has served with the Westmont Police Department since 2001. From 2012 until his promotion to sergeant in 2015, he served as the school resource officer and juvenile detective. Sergeant Weibler is currently assigned to the patrol division, where he oversees the daily operation of his patrol personnel. Additionally, Sergeant Weibler serves as the rangemaster and is responsible for the department’s firearm instruction. Sergeant Weibler is a past board member of the DuPage Juvenile Officers Association and was the proud recipient of the Public Safety Officer of the Year award in 2017. 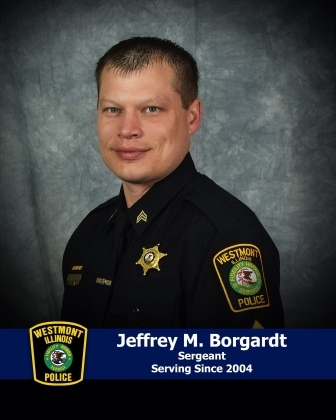 Sergeant Jeffrey Borgardt has served with the Westmont Police Department since 2004. From 2011 to 2016, he was assigned to the investigations division as a detective. He was promoted to the rank of sergeant in 2016. Sergeant Borgardt is currently assigned to the patrol division on the midnight shift and also oversees the bike patrol unit. Additionally, he serves as a firearms instructor, a crime scene technician, and is a member of the honor guard. Sergeant Borgardt was the recipient of the Public Safety Officer of the Year in 2012. He completed the School of Police Staff and Command through the Northwestern University Center for Public Safety in 2018. 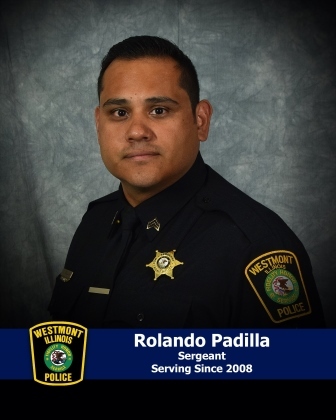 Sergeant Rolando Padilla has served with the Westmont Police Department since 2008. From 2014 to 2016, he was assigned to the investigations division as a detective. He was promoted to the rank of sergeant in 2017. Sergeant Padilla is currently assigned to the patrol Division as patrol supervisor. He oversees the department defensive tactics and taser Program. He also serves as a firearms instructor, use of force Instructor, and is a member of the honor guard. 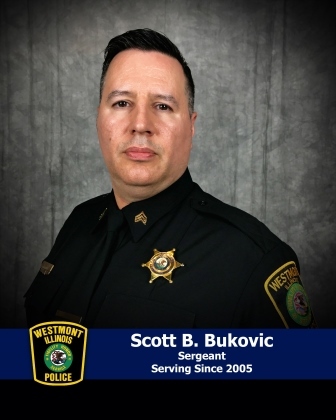 Sergeant Scott Bukovic first served as a police officer with the Westmont Police Department from 1996 to 2002 and returned in 2005. From 2013 until his promotion to sergeant in 2017, he was assigned to the investigations division as a detective and was also assigned to the DuPage Felony Investigative Assistance Team (FIAT) Major Crimes Unit. Sergeant Bukovic is currently assigned to the patrol division, where he oversees the daily operation of his patrol personnel. Additionally, he serves as crime scene technician (CST) and is the speed measuring device operator instructor for the department. 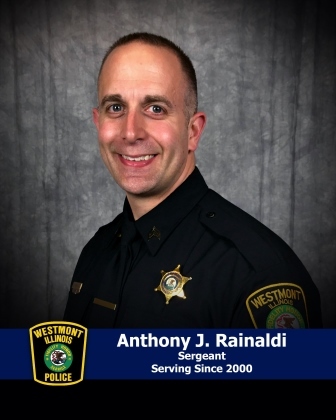 Sergeant Anthony Rainaldi has served with the Westmont Police Department since 2000. From 2008 until 2014, he was assigned to the investigations division as a detective. Sergeant Rainaldi returned to the patol division in 2015 and was promoted to the rank of sergeant in 2017. Sergeant Rainaldi is currently assigned to the patrol division as the relief sergeant. His duties include the daily operation of his patrol personnel in the absence of the assigned patrol sergeant. Additionally, Sergeant Rainaldi serves as a range instructor.